Denver — As Lyft and Uber race toward IPOs this spring, Americans are relying on the ride-hailing services more than ever, and as a result, city parking garages and airport parking lots are a bit emptier. A new study published in The Journal of Transportation and Land Use (https://www.jtlu.org/index.php/jtlu/article/view/1392) aims to understand how parking demand is changing as people opt to hitch a ride and leave their cars at home. “We wanted to understand how these new services, Uber and Lyft, are impacting a city in regards to how people shift travel behavior, overall congestion and changes in landscape,” said lead author Alejandro Henao, former CU Denver PhD student and current mobility researcher with the National Renewable Energy Laboratory (NREL). For the study, he teamed up with Wes Marshall, PhD, PE, associate professor in the College of Engineering, Design and Computing. A lack of public data from the ride-hailing companies — and tenuous cooperation when courts have ordered them to share — required the researchers find a workaround. In fall 2016, Henao became a driver for both Uber and Lyft and drove a 2015 Honda Civic around Metro Denver for 14 weeks. Logging hundreds of rides and gathering 311 surveys from his passengers, Henao collected a “driver dataset,” containing the GPS tracking of date, time of day, travel times, and travel distance of the rides; and a “passenger dataset,” containing information gathered by surveying his passengers during the ride about car ownership, reason for travel and if parking was a reason for leaving their cars at home. 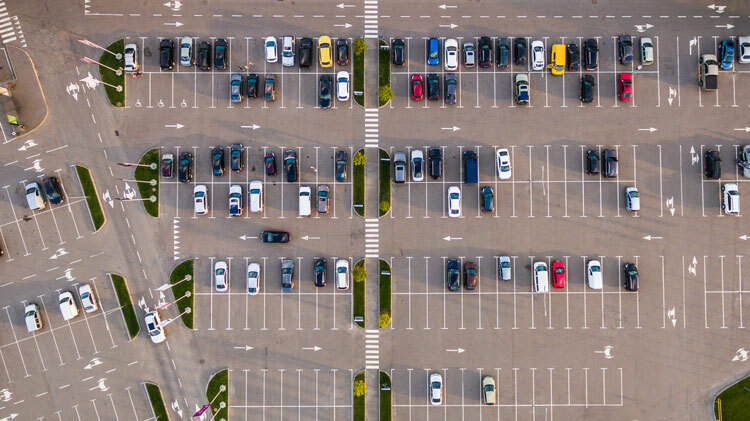 By combining the ethnographic research with interviews and the technology-based data, researchers were able to assess the shift in parking demand and how much of that was contributed to parking stress. “We found that the stress of the uncertainty of finding a parking spot downtown was enough to discourage people from driving themselves and made them willing to pay more to avoid it,” said Marshall. This research was funded in part with grants from the University of Colorado Denver, U.S. Department of Transportation’s Mountain-Plains Consortium and the National Science Foundation’s Bridge to the Doctorate Program.